I have been hesitant to write on this topic for more than one reason. First and foremost I have no love of sensationalism, I do have a concern for all who have been hurt and also needed to meditate on how Hellenistic astrology can best address this kind of event. What follows is a few thoughts on the incident. Before I begin, I would like to convey my most sincere condolences to the families and friends of passengers of Malaysia Airlines Flight MH370. This has been one of the most bizarre stories I’ve heard in recent times. The weather was clement and the pilot gave the customary “good night” to Air Traffic Control as it flew towards Vietnam The perimeters of the search have been extended as far as the southern Indian Ocean, thousands of miles and in the opposite direction of the scheduled flight. 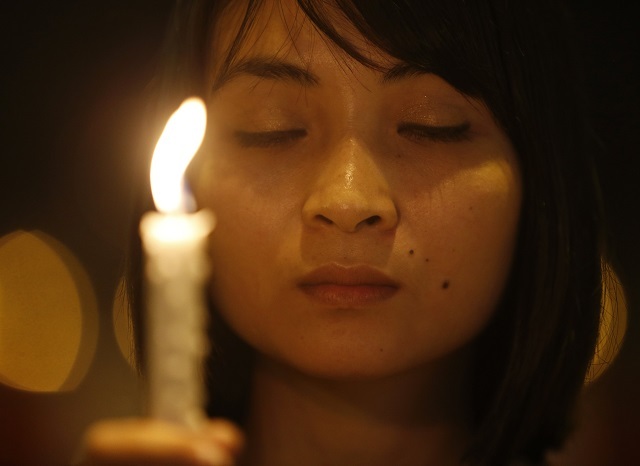 A woman holds a candle as she takes part in a candlelight vigil held by Malaysian ethnic Chinese for the passengers of Malaysia Airlines MH370 near Independence Square in Kuala Lumpur March 10, 2014. There have been reports from fishermen that a ball of fire fell into the ocean which they identified as an airplane. This occurred at the time the plane would be expected to be in that location. Considering that oil slicks were also seen and documented in that area, it seems very odd that this area was not given top priority as a search site. 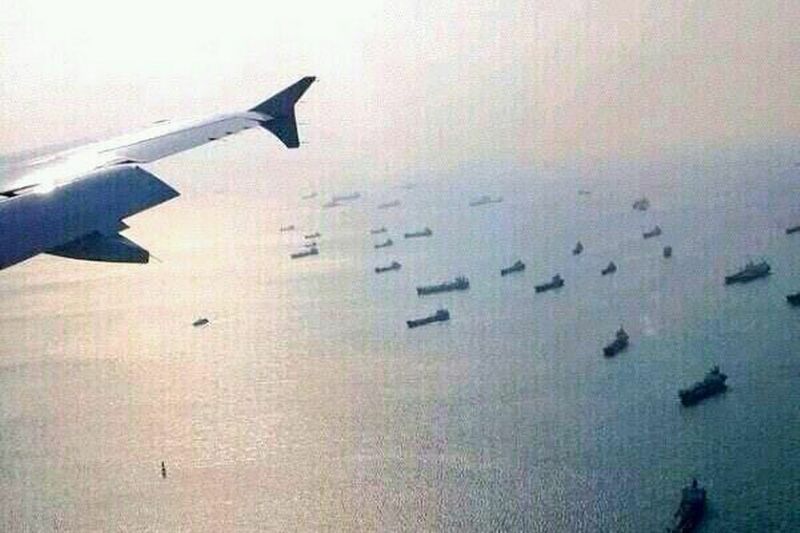 Indeed, several vessels were deployed on the other coast of Malaysia. The charts is, at first glance, somewhat unremarkable. An exalted Jupiter in Cancer is Lord of the Ascendant. In Hellenistic astrology, the Ascendant is considered as the bow of a ship, but the metaphor works for aeroplanes. If this looks relatively benign, we need to look closer. Jupiter is the helmsman, but he make no actual contact or attachment to the Ascendant. He is also out of Sect and in the house of Death. Jupiter’s connection to Fixed Stars included Sirius, meaning searing heat as well as Canopus, the Celestial Navigator. There is a fundamental conflict between Jupiter and Mars which would go unnoticed by modern astrologers. 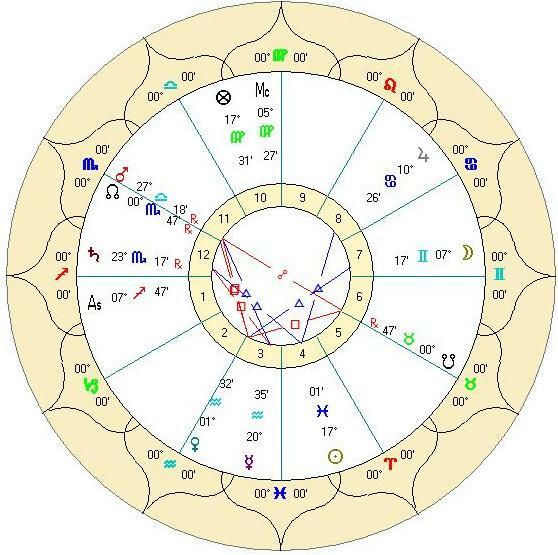 The two planets are in hard aspect to each other and Mars is in his Detriment in Libra and Retrograde. He is conflicted and therefore his Conjunction to the North Node only magnifies this. Saturn also play a role here. He is in hard aspect to a saturnine Venus that would represent the co-pilot in this case. The Moon is separating from Venus, indicating a loss of light and communication. The Lord of the Tenth and Part of Fortune is Mercury, who plays the role of Sail Master. This would not be particularly problematic if Mercury were not in the bounds of Mars, disposited by Saturn in Scorpio and with the Part of Nemesis. 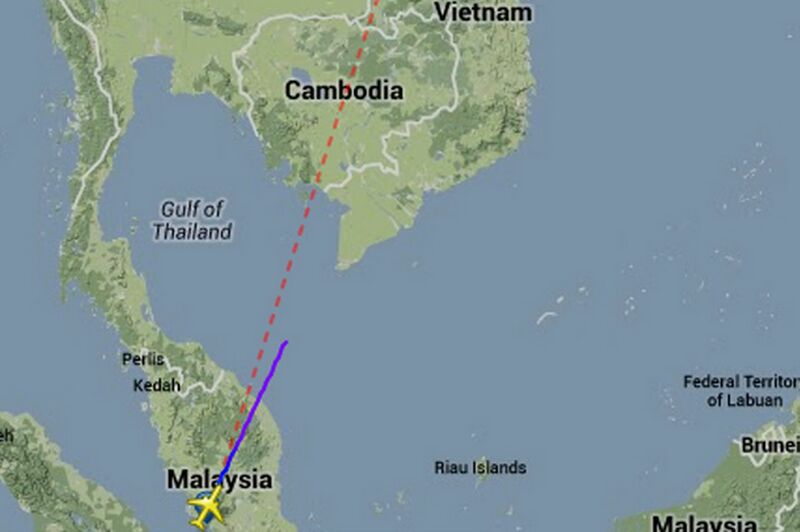 This entry was posted in Traditional Astrology and tagged Hellenistic astrology, Malaysia Airlines.